Eric Prydz continues into 2015 by recently unveiling his new single, ‘Generate’, a track that has been a staple in Prydz’s sets for months. The track will be released exclusively on Beatport on 13 April via Prydz’s Pryda Recordings and follows his recently concluded and completely sold-out North American Generate club tour, which saw him playing extended sets in intimate venues. 2015 is shaping up to be another milestone year for Prydz. He started the year with a BBC Essential Mix with his Pryda protégé Jeremy Olander, and he’s already nabbed a BBC Radio One ‘Hottest Record In The World’ and a Beatport #1 for his CHRVCHES rework, ‘Tether’, which also garnered support from the likes of Pitchfork and NME. This past weekend in Miami, Prydz hosted one of Miami Music Week’s key parties, lining up Joris Voorn, Claude VonStroke, Kolsch and Jeremy Olander to join him for a 17 hour session on the legendary Space Terrace. While his Ultra Music Festival performance, which saw him guest slot for Armin van Buuren State of Trance Stage, was also a key festival set. ‘Generate’ features a sharp yet angelic top line that gently weaves in and out across a sea of progressive elements. 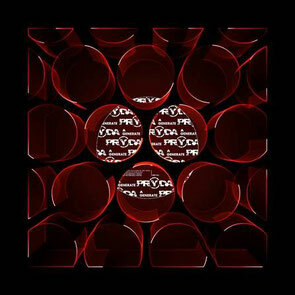 Whirring synthesiser play enshrouds an addictivly simple yet layered bassline throughout, all of which combine to form another big Prydz release. The track was officially debuted by Danny Howard this past Saturday as a “Future Anthem’.